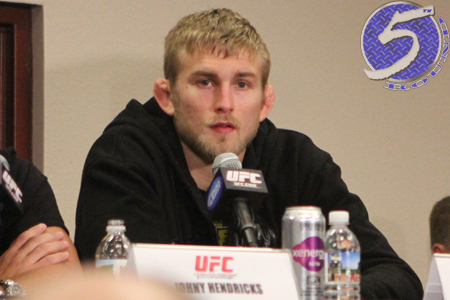 A light heavyweight shootout between Alexander Gustafsson (Pictured) and Antonio Rogerio Nogueira will headline the April 14th event. Middleweights Brian Stann and Alessio Sakara serve as the night’s co-main attraction. A 170-pound scrap between Siyar Bahadurzada and Paulo Thiago, as well as a welterweight affair between DaMarques Johnson and John Maguire will round out the main card. FUEL TV will broadcast the show live in North America at 3PM ET/12PM PT.